Add a tough, yet beautiful layer of defense with strong adhesion that resists blow offs and helps protect the most vulnerable areas such as hips and ridges. Limited Warranty* based on the coverage period of the field shingle used. 110 MPH Wind Resistance Limited Warranty* with standard 2-nail application. 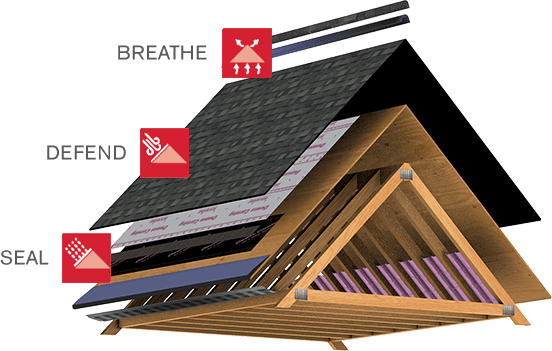 Part of the Owens Corning™ Total Protection Roofing System"®^. Lineal Feet per Carton 20ft. 20ft. 1. Available on a regional basis. ^ Excludes non-Owens Corning™ roofing products such as flashing, fasteners and wood decking. * See actual warranty for complete details, limitations and requirements. It takes more than shingles to protect your home. It takes an integrated system of components and layers designed to help perform in three critical areas.